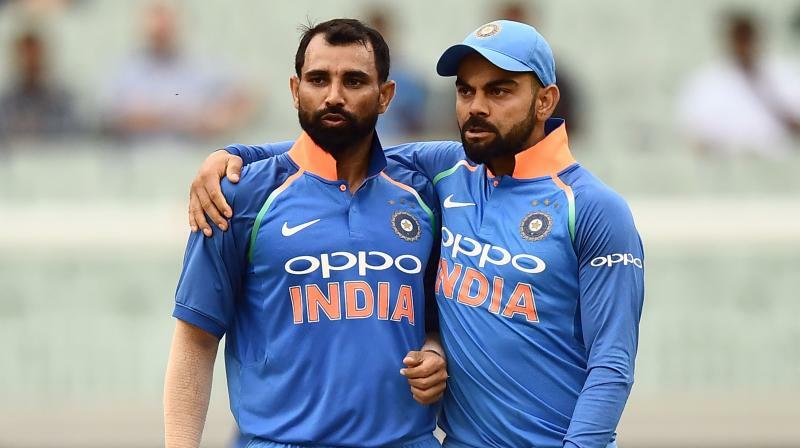 Although new fast bowlers like Jasprit Bumrah and Bhuvneshwar Kumar have emerged, Shami has successfully put the issues behind and is now a regular member in India’s ODI squad. "I'm very happy that I’ve got a second chance in a World Cup. As far as performance is concerned, the way I’d performed in 2015, how I approached it with confidence, I’m hoping that there's an increased confidence in me. And whatever confidence that I have, in terms of my performance in the last seven-eight months, I want to carry that confidence and put my best foot forward for my team,” ICC quoted Shami, as saying. “I was a bit heavy after my injury and didn't play ODIs for an extended time, but I’ve played ODIs recently. Especially in the last six months, there have been some outstanding changes in my life. "There's a lot of difference (with my bowling) when compared to, say three years back. I’ve done a lot of hard work. I've worked with the coaches, and the confidence that I got with the Indian team, backing me when I was trying to improve my fitness levels, the management, the NCA (National Cricket Academy) - they all backed me with all their heart. I was also dedicated to take on the fitness challenge in front of me. I accepted that and the result is now in front of you." "Playing these matches (in the IPL) help in terms of fitness and mental preparation. It's a challenging tournament before the World Cup and it is very helpful in the preparation, mentally and physically,” the fast bowler said. Khawaja and Finch's opening position in jeopardy after David Warner's return.